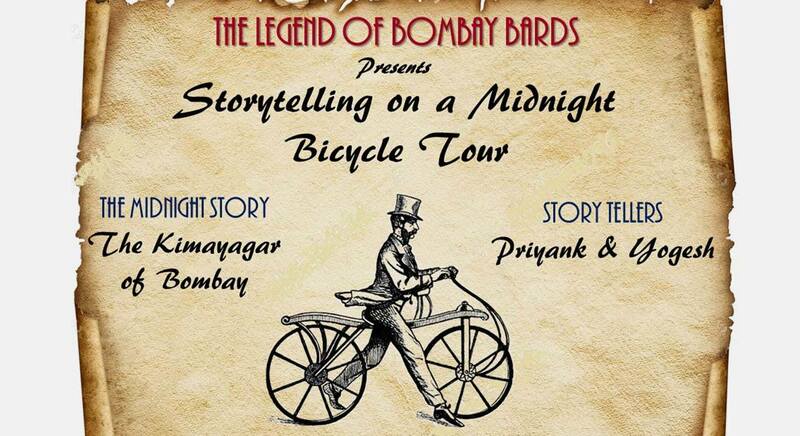 This midnight cycling tour will transcend you to the time when Bombay was a quaint little town under the British Raj. Our story traces the life-journey of a young gujrati boy who came to Bombay to make a living , but his destiny had something else planned.From being one of the richest businessman in Bombay to becoming the most hated man , his life was nothing less than an adventure. They called him "Kimayagar" or a magician who could make money out of anything, who turned this dusty old town into a paradise city. Bombay became an unparalleled mayanagari. In this midnight adventure we will unravel a new side of Colaba and some of its iconic structures and how the "hero" of our story played a key role in their making. We end the story with an interesting story-tour-quiz and the winning team gets a special souvenir from "The Legend of Bombay Bards". 10:00 PM - We meet and greet at Happy Cycles, Colaba. A short introduction of the story & the Storytellers and we proceed to pick our cycles . 10:15 PM - We start our Midnight Storytelling & Cycling Tour. 1:00 AM - We end our tour with a TLBB MegaQuiz at Marine Drive. The winning team gets a special souvenir from the Legend of Bombay Bards. Two Litres of water & ready to eat Snacks. A small backpack (to carry water, snacks, etc.). Bardians Review "The Kimayagar of Bombay"
The Legend of Bombay Bards : "The Kimayagar of Bombay "